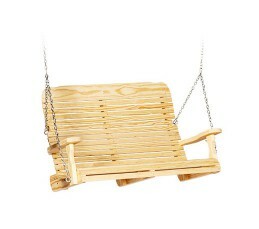 Leisure Lawn’s wooden swings are classics when it comes to outdoor furniture. 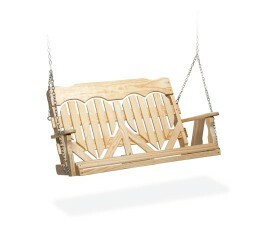 Because of its natural wood grain patterns, it will complement your outdoor living area perfectly. 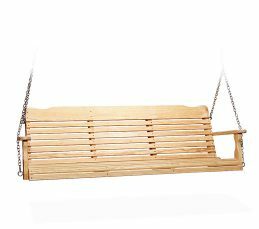 Also, we have several styles to choose from. 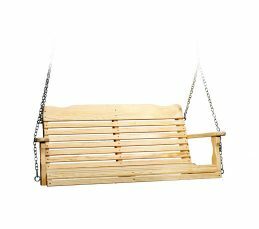 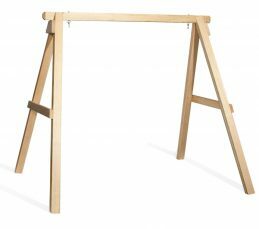 All of our wooden swings are available in 6ft lengths except for the Easy Swing. 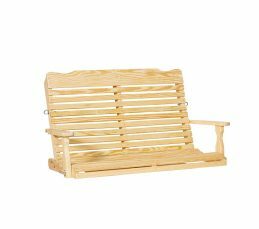 This traditional wooden furniture is built with Premium pressure-treated kiln-dried Southern Yellow Pine. 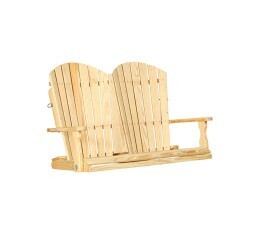 Since you can order these items unfinished you can stain or paint them as you like. Factory finished swings are also available.